In Which the Pirate Swatches for an Anniversary Design. On April 4, this blog will be TEN YEARS OLD. Ten! Can you believe it? As my grandma used to say, "Who'd'a thunk it?" 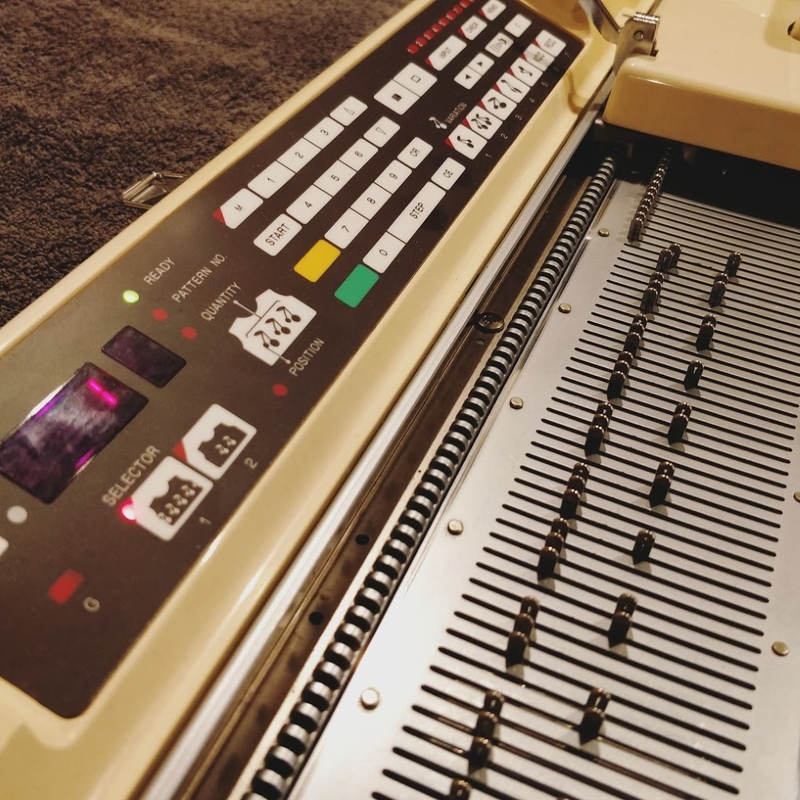 (And, as I've heard elsewhere, "how much could there possibly be to write about knitting?!" Quite a bit, as it turns out.) I'd like to release a new pattern to celebrate this significant "blogiversary," but obviously that means starting now so that it has a chance of being ready for release in a few months. 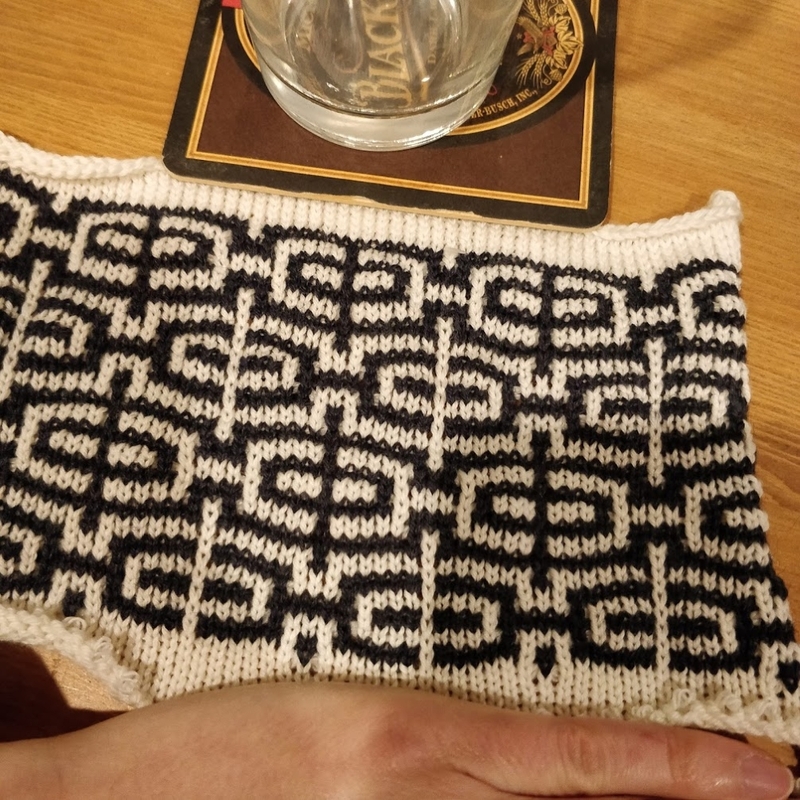 I knew I wanted the hat to be stranded colourwork using four colours of yarn, which is outside the realm of my usual knitting - but a special anniversary calls for a special design! So I opened up Excel and started slapping colours into cells. Then there was a lot of rearranging, cutting-and-pasting, scowling, adjusting, centering, shifting, and re-adjusting. Eventually I had something I liked, so I retrieved the yarn I wanted to use (Jo Sharp Classic DK Wool) and some US size 4/3.5mm needles, and started knitting a swatch. 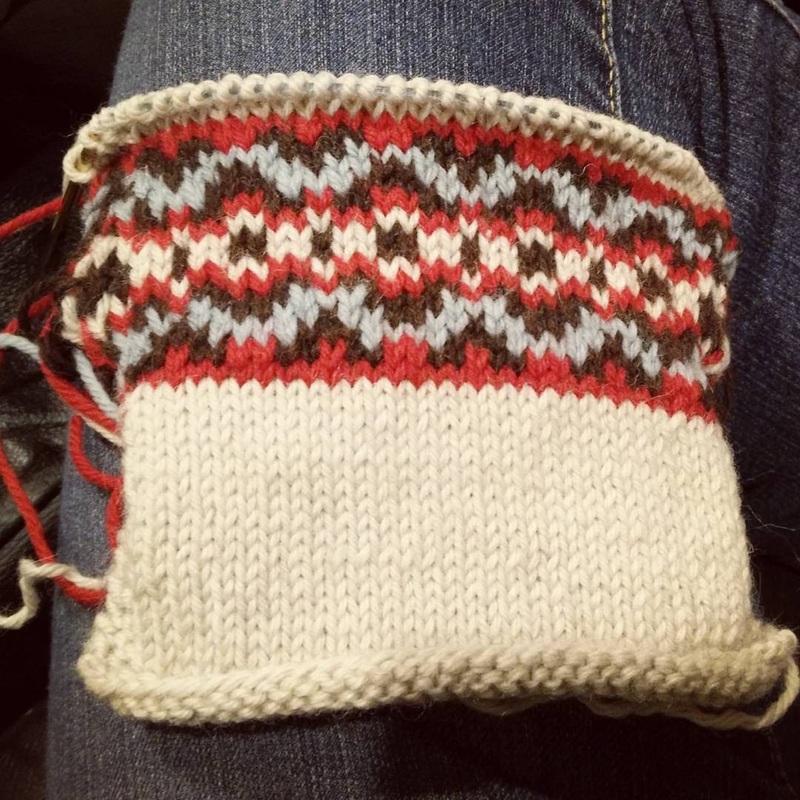 I knit several inches of stockinette to get a feel for the yarn, and then decided to swatch one of the motifs I'd charted. Unwisely, I failed to record the colourways and dye lots when I bought the yarn a few years ago, but the colours are a rich brown, cherry red, pale blue, and creamy white. It doesn't quite matter, as I'm writing the pattern in two different sizes that will work with four different gauge tensions, so knitters will be able to pick the yarn they like best. 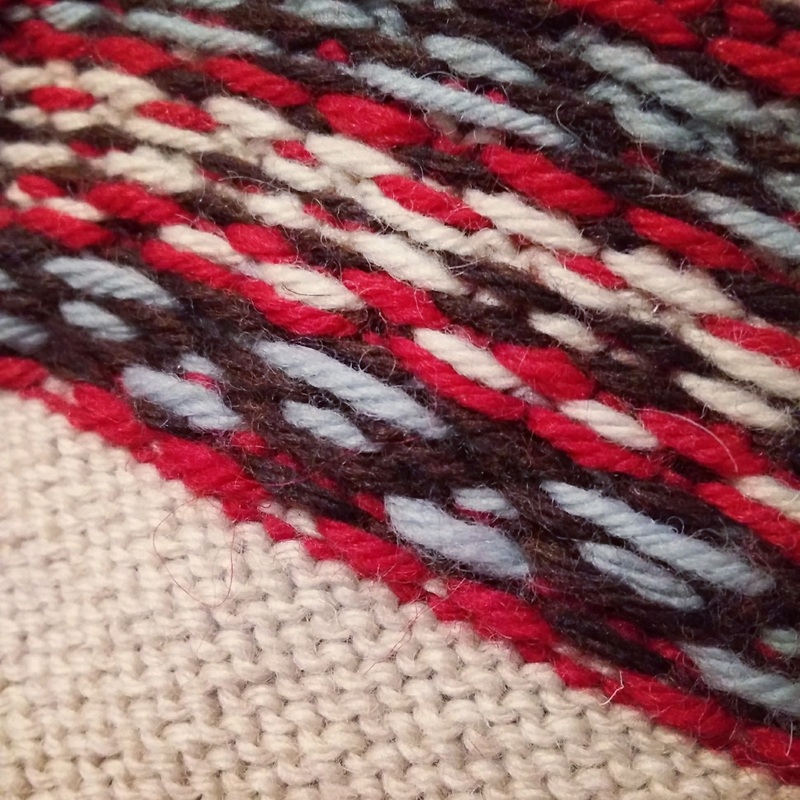 This is the colour combination I like for myself, but I'll offer a few other combination ideas in the final pattern. Yep, I think that's going to work just fine. The back side of the swatch is nifty-looking, too. Once I'd measured and taken pictures, I unraveled the yarn and wound each colour back onto its respective ball. The swatch is pretty, but ultimately useless - and I might need that yarn before I'm done with the hat! Comments Off on In Which the Pirate Swatches for an Anniversary Design. In Which the Pirate Swatches. 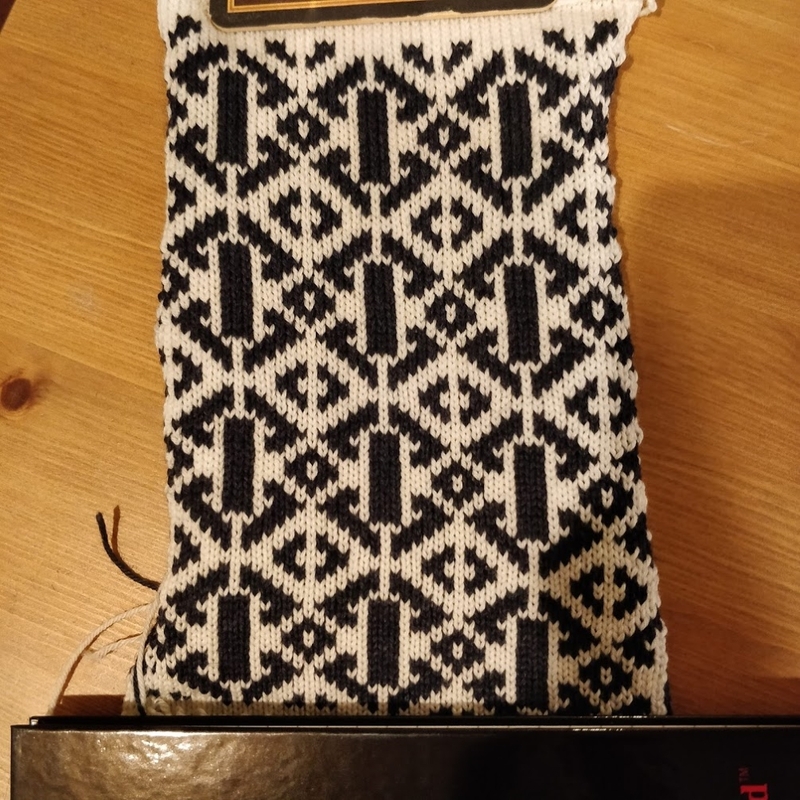 Here we have the twenty-five yards of my very first attempt at a woollen longdraw, knit into a twenty-six stitch swatch. 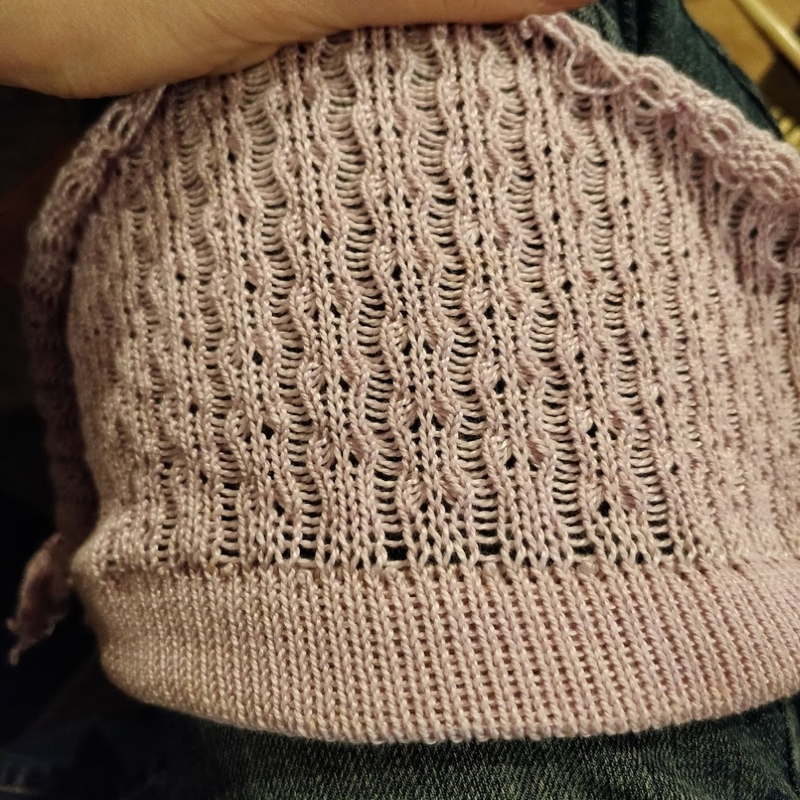 I started first on size 10.5 (6.5mm) needles, decided after a few rows that it was far too loose, and went down to size 9 (5.5mm) for the rest of it. That's why the bottom of the swatch appears to be flaring out; it actually is slightly bigger! 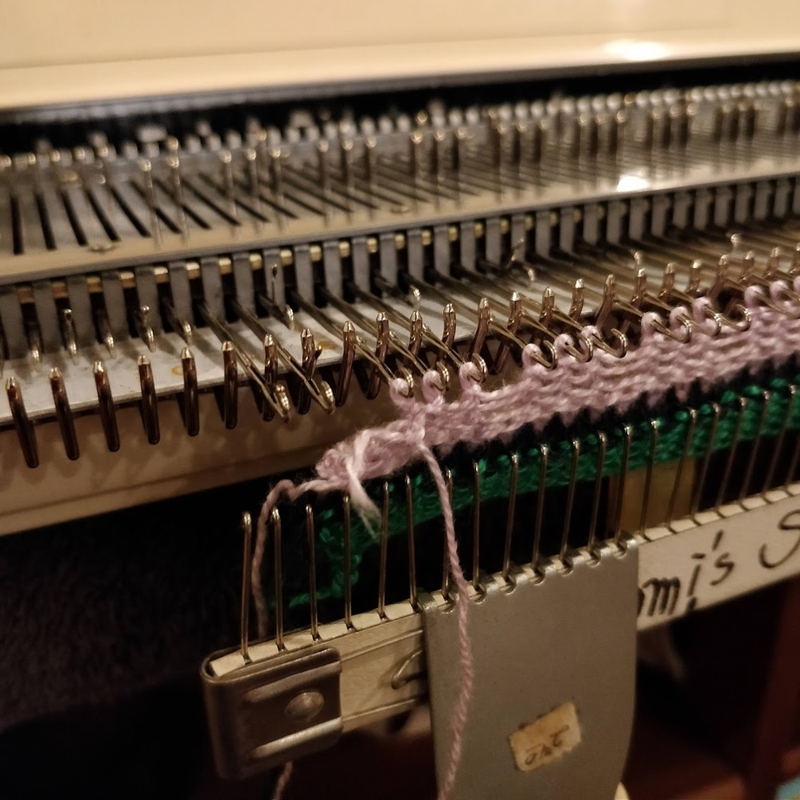 After deciding that the size 9s were just about right in terms of how the fabric felt, I experimented a little bit with a few cables and a little patch of seed stitch. I wanted to see how much definition I would get with the textures, and the answer is "very little." I'm relieved, as if they'd stood out nicely I would be tempted to knit a cabled sweater! 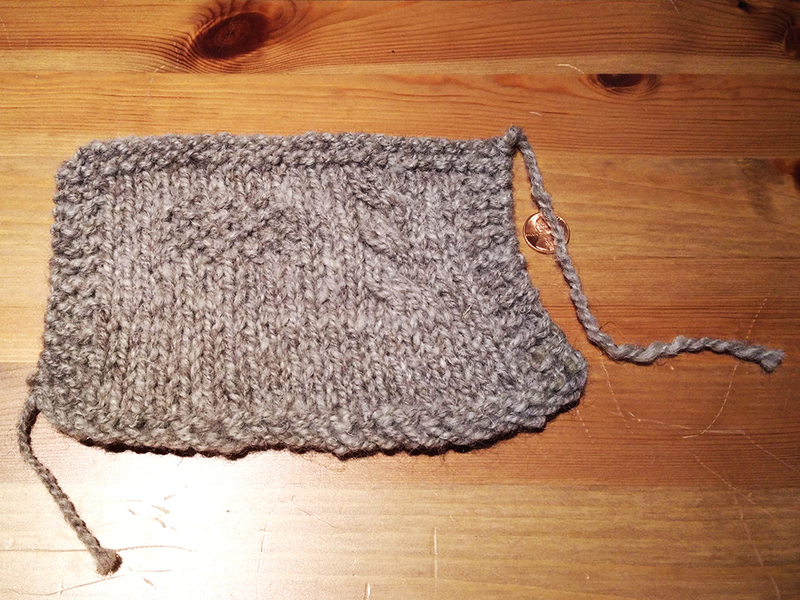 Instead, I can plan for plain stockinette with a bit of ribbing for shaping, which should be a quicker project. After the swatch had soaked and lightly blocked - just stretched into shape, no pinning - I measured 14 stitches to 4 inches, which puts the yarn solidly into the bulky/chunky range. The fabric isn't next-to-skin soft, but that's okay for the kind of sweater I'm thinking of knitting. I'd like to see if I can get down to more of a worsted weight yarn, though. More test-spinning and swatching will certainly be required! I have enough of this roving to do as much testing as I need, and still have plenty remaining. The only issue (which isn't really an issue) is that testing takes a lot of not-spinning time. Spin the singles and give them a day to rest. Ply them, soak them, and give them a day or two to dry. Knit the test swatch, block it, and then wait for *that* to dry. Meanwhile, the Tour de Fleece is starting in two weeks! I'll need to know exactly what I'm spinning, if I want to make this roving into my TdF project. It's looking like I'll end up doing a bit of this, but also working on some of the pretty dyed top I have in the stash - which I won't mind doing at all.